CBI(Central Bureau of Investigation) Director, Ranjit Sinha, is a lame duck from November 20.Ranjit Sinha has to protect himself from the investigation of 2G spectrum. on December 3rd,2012 he started his two years tenure.a key allegation is that he is trying to help the 2G spectrum accused persons.the allegation made by an NGO,which collected a list of visitors with whom Ranjit Sinha regularly used to meet.the report list come in front of media and became a big issue in the country.cbi director Ranjit Sinha protested that the information is wrong and it is a fake creation by NGO.at first time Supreme court sympathise with his words and asked the NGO(petitioner) to disclose the names of whistleblower. today supreme court itself rejected Ranjit’s charge.in case hearing Sinha said that he meet Anil Ambani Group(who is accused in 2G scam) but he did not do them any favours.in another hand the report says he meets all kinds of people names like Mithilesh, Shiv pal and shiva babu had visited Ranjit Sinha house more than 100 time in a year.this much of visits are allowed or limited to close relatives only.accused ones and the directors should meet only at court not any personal place especially with the accused persons. many powerful people want to stop the investigation, in order to protect themselves from the case.this on of the big corruption case in Indian history and it especially belongs to Indian investigation department. 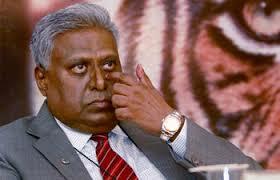 Supreme court today declared that Ranjit Sinha is not going be protected, there is “all is not well” sc sais. 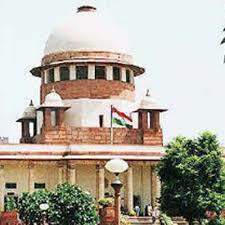 supreme court today make a decision to keep away Mr.Ranjith Sinha from the CBI director charges. as he can influence people.presently any other official will lead the CBI director position.